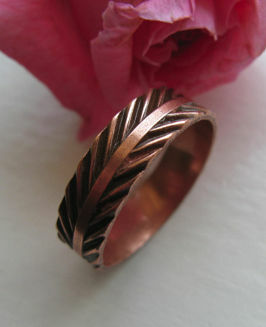 Copper Ring CR0139C5-5 - Size 5 - 3/16 of an inch wide. > Copper Ring CR0139C5-5 - Size 5 - 3/16 of an inch wide. Solid copper ring. 3/16 of an inch wide. USA made.